The machine tool market is expected to grow in the future. With new innovations such as the Horizontal machining center – the HCR-5000S, Ultimate Die & Mold Vertical Machining Center and the Auto Work Changer the company intends to stay ahead of its competitors. 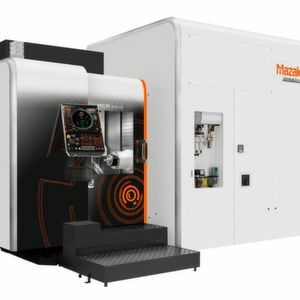 Prominently known as one of the manufacturing leader of advanced technology solutions, including multi-tasking, hybrid multi-tasking, 5-axis, milling, turning, CNC controls and automation, Mazak has always been at the forefront of innovation. This can be witnessed by observing some of the latest product introductions of the company. For instance, this year’s highlights include the Horizontal machining center – the HCR-5000S, Ultimate Die & Mold Vertical Machining Center and the Auto Work Changer. The company has freshly introduced its new horizontal machining center (HMC), the HCR-5000S, for high-speed aluminum machining. Capable of offering diverse high-speed spindle options from 12,000-rpm spindle to 30,000-rpm, the 5-axis HMC comes equipped with an integral spindle/motor and ballscrew core cooling that minimises vibrations for higher accuracy. The single-table machining center proves to be beneficial for the aerospace and semiconductor and high-tech industries. Ensuring utmost precision, the HCR-5000S also comprises a 40-tool Auto Tool Changer that can be expanded to a capacity of 160-tool depending upon the requirement. This feature leads to enhancement of productivity with a chip-to-chip tool change time of only 2.8 seconds. With a sturdy and precise rotary table, the machine offers rapid traverse rates of 50 rpm in its C axis and 30 rpm in the A axis. The table positions in 0.0001-degree increments and accommodates parts weighing as much as 500 kg and measuring up to 700 mm in diameter and 644 mm high, depending on the cutting orientation. Another addition to the firm’s product line is the Ultimate Die & Mold (UD) 400/5X Vertical Machining Center (VMC) for micro-precise high-speed machining. The 5-axis machine can be used for numerous applications such as medical and dental instruments, mold and die components and much more. The VMC’s superior HSK-E40 spindle with a capacity of 45,000-rpm ensures that it meets the highest levels of precision and speed. Powered by an 18.5-HP motor, the spindle features temperature-controlled cooling oil that circulates through the spindle housing to ensure stability for even the longest periods of high-speed operation. Further controlling is carried out by the ballscrew core cooling which is embedded within. Along with this, 16 temperature sensors are placed throughout the machine in order to detect any other heat build-up. The machine’s thermal shield also controls for environmental temperature fluctuations. Further, the rotary table of the machine accommodates workpieces weighing up to 264.55 lbs and measuring up to 15.75” in diameter and 11.81” high. The table’s B and C axes both utilize direct-drive motors that eliminate vibration and heat build-up while enabling rapid traverse rates of 60 rpm in the B axis and 150 rpm in the C axis. The 5-axis and highly efficient Variaxis i-300 VMC has recently received an upgrade in the form of a high-capacity Auto Work Changer (AWC). The new Variaxis i-300 AWC machine is ideally suited for machining aluminum and other nonferrous metals for the aerospace, medical and automotive industries. The machine is equipped with a multiple drum tool storage system capable of handling up to 145 tools and the AWC includes 32 positions that accommodate workpieces up to 13.779” in diameter, 12.401” high and weighing up to 135 lbs. The Variaxis i-300 AWC comes with a 12,000-rpm spindle that is available in speeds up to 30,000 rpm. To ensure vibration-free and high-speed operation, it is also designed with an integral spindle/motor and temperature-controlled coolant. 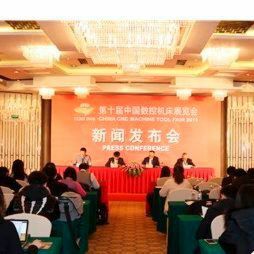 With these or other innovations to showcase, Mazak will be one of the leading exhibitors at this year's CIMES (China International Machine Tool & Tools Exhibition) fair, which will take place from June 26–30, 2018 at the New China International Exhibition Center in Beijing, China.